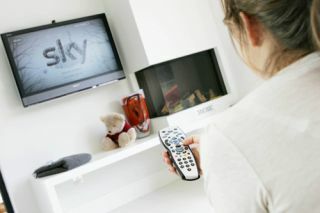 Sky to introduce new 'Buy & Keep' movie purchase service | What Hi-Fi? Sky TV customers will be able to purchase movies from the Sky Store with a new ‘Buy & Keep’ service that’s scheduled to launch in the "coming weeks". Purchased movies will be downloaded and permanently stored on a Sky+ HD set-top box, with a physical DVD copy of the film posted to the customer within 3-5 working days. The Buy & Keep service wouldn't include Blu-ray discs, however. A Sky spokesperson told What Hi-Fi? : "We think this is the combination which works best for most people. "Many people don't have a Blu-ray player, which wouldn't make an automatic mailout in this format practical." Sky Store director Nicola Bamford said the latest feature is the "perfect solution for any film fans wanting the immediacy of enjoying the latest movies on your main TV, with the added benefit of receiving the original DVD." Customers will also be able to archive stored movies to free-up hard drive space, and restore them instantly at any time. The new service is an alternative to Sky’s rental market and Sky Movies subscription, which now contain almost 1400 titles. There will be 200 titles available to Buy & Keep on launch, including Warner Bros’ The Hobbit: The Desolation of Smaug and several other titles from Warner Bros, as well as 20th Century Fox and NBCUniversal studios. Library titles will be available for £7.99 and new releases will cost £13.99. Sky’s aim is to expand its catalogue continually, with new movies becoming available each week. Future planned improvements will see access to bought content on mobile devices such as smartphones and tablets too. An official launch date for the new service has not yet been confirmed, but we will keep you posted as soon as we hear more.